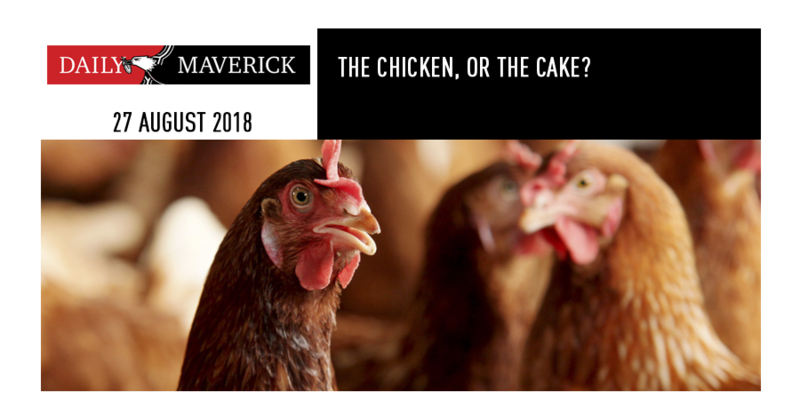 The Woolard VAT review panel failed to reach consensus on chicken for all the wrong reasons, and instead agreed that cake flour would be a safer option, regardless of the fact that it offers a nutritional vacuum. And so, they kicked the ball back to Parliament, to make the call on chicken. “We are guilty of many errors and many faults, but our worst crime is abandoning the children, neglecting the foundation of life. Many of the things we need can wait. The child cannot. Right now is the time his bones are being formed, his blood is being made and his senses are being developed. To him we cannot answer ‘Tomorrow’. His name is ‘Today’.” So wrote Chilean poet, educator and diplomat, Gabriela Mistral, in her introduction to the WHO Global Database on Child Growth and Malnutrition. This powerful sentiment was never more apt for us in South Africa than it is at the moment, as we wait to see what Parliament will make of the Woolard panel’s much criticised recommendations on the VAT-free basket. 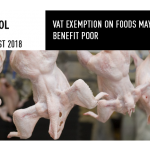 Including the major source of protein for the poor and their children – chicken – into the basket of zero-rated items would obviously mitigate the increase of the VAT rate on low-income households and help to improve the declining nutritional health of the country. And yet the panel failed to reach consensus on chicken for all the wrong reasons, and instead agreed that cake flour would be a safer option, regardless of the fact that it offers a nutritional vacuum. And so, they kicked the ball back to Parliament, to make the call on chicken. Now comes the real test of what parliamentarians consider to be important. Is it the long-term well-being and health of the poor, children, the elderly and low-income households – the people that trusted them with their vote to look after their interests – or is it not? In a country with an expanded unemployment rate of almost 38% (including those people who, thoroughly demoralised, have stopped looking for work), it doesn’t take a panel of experts to know that poverty, real poverty, is widespread and endemic in some communities. One of the major consequences of poverty is malnutrition, and women, infants, children and adolescents are at particular risk. It seems nothing short of ridiculous to exclude a primary source of protein from a basket of VAT-free essential items. Also, malnutrition increases healthcare costs, decimates productivity, puts a brake on economic growth and inevitably perpetuates the grim cycle of poverty and ill health. It also robs a country of its future. South Africa has a shamefully high rate of stunting in its children, a sure sign of a serious nutritional deficit, and an irreversible condition that robs a child of the chance to ever reach his or her full potential. 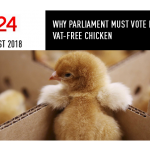 The panel may well have kicked the needs of the poor into Parliament due to concerns about the impact on the fiscus of including chicken in the VAT-free basket. But economist and FairPlay expert panellist Mike Schussler has said that irrelevant issues seemed to have distracted the panel, to the detriment of the poor. “The point of reviewing the basket was to help the poor and to identify items to benefit those consumers and to allow them to afford better nutrition. Instead the panel focused on the effect a suspension of VAT would have on the producers and retailers, which misses the point altogether,” says Schussler. “If the decision was about the consumer, chicken, by far the most widely consumed protein in lowest-income households, would logically have been included. But the consumer is being punished for the anticipated sins of the producers and the importers. It also implies that the panel doesn’t trust the Competition Commission to monitor the matter and check that producers play by the rules, which I believe the industry committed to in detail in the submission it presented to the panel. “Also consider that the report fails to take into account the role that would be played by retailers and all chicken-based fast-food outlets. Retailers have far more pricing power than the producers do, yet the panel only focused on the producers and importers and omits any consideration of these other big role players.